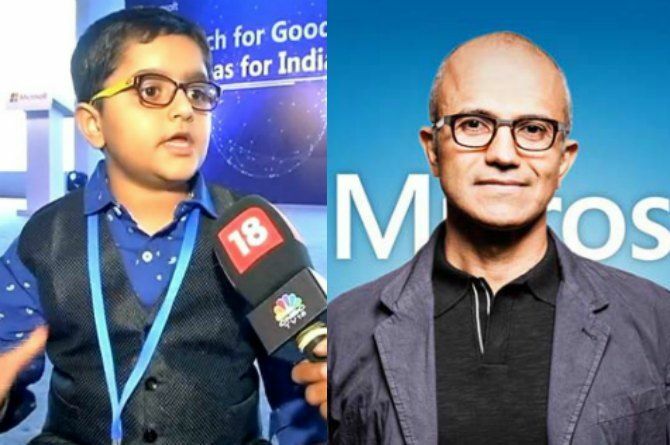 8-Year-Old Mumbai Genius Stuns Satya Nadella, Aims To Be Microsoft CEO! There's no stopping children from asking impromptu questions to anyone, even if they happen to be the CEO of the world’s leading software company. 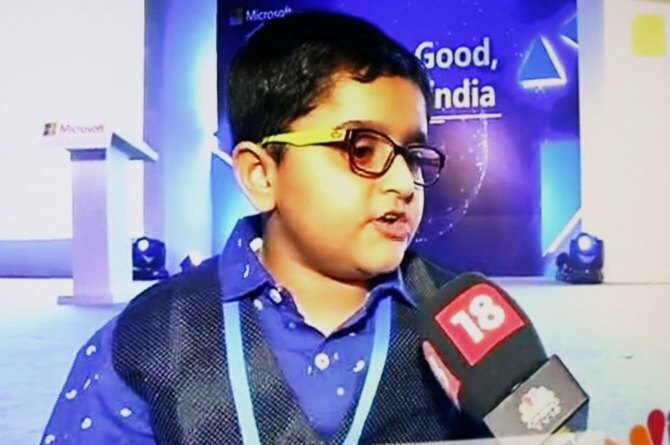 This is what happened when Microsoft CEO Satya Nadella met an eight-year-old gamer from Mumbai. Medansh Mehta, a Mumbai-based gaming developer, recently met Microsoft CEO Satya Nadella during the his visit to India last month. And the little boy was not there only to click pictures and shake hands. While showing his game to Nadella, the boy shared his vision to "balance industrial growth and agriculture so that you can control pollution and the rate of growth so that an economy can sustain". To which a very surprised Nadella replied, "This is a quite complex and good theme which everybody in the world is liking." Medansh also showed Nadella his app "Let There Be Light" during the CEO's meeting with student developers in India. 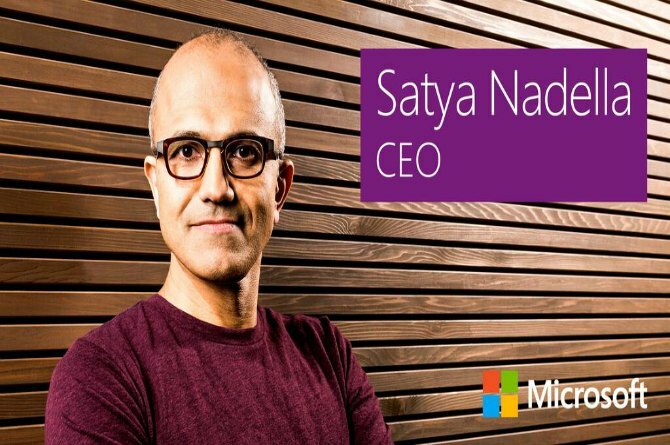 Read on to know what Nadella had to say about Medansh in his keynote speech! Nadella was so impressed with Medansh that the CEO included the boy in his keynote speech. "I met an eight-year-old, and this is perhaps the time where I felt the most inadequate. And, the eight-year-old’s dream is to create a society that knows how to balance economic growth with environmental sustainability. This is the goal he has and then he translated that vision, that goal, into a novel game that he’s built." While explaining how the game works, Medansh said in his interview with CNBC, "You have to build things like factories, farms so that the prosperity of the city increases. At a certain level, the city brightens up and you have to reach a certain level of prosperity that is 1,500 coins in 5 minutes." With an ambition to become Microsoft CEO himself one day, Medansh asked Nadella how he can achieve his dream, to which the CEO replied, "You are already ambitious beyond being the next CEO. The game has the sensibility that all of us need."